A job always sounds daunting before you start. When I began mulling over the idea to convert my vegetable garden into raised beds, I assumed it would be difficult and very time-consuming. I was wrong! Putting a raised bed together takes a couple hours at most and the benefits are endless. Raised beds offer great drainage, decreased weeds and easier gardening. But you don’t need to hear me preach the benefits; I want you to see just how easy it is! My bed is 4 feet by 24 feet. This is large for most and I don’t expect anyone to actually want that. Attached is the layout for a standard 8-foot by 4-foot bed with all the materials needed. Download the PDF here. Prepare your area by clearing the grass or anything that may be setting roots into the ground. I like to make the bed above ground then set it in place. Put the bed together starting with one post and continue until the bed is completed. Dig your footing holes for the posts and turn the raised bed over to set in place. Backfill holes with dirt. I use a mixture of 1/2 topsoil and 1/2 compost mixed with 1-2 cubic feet of perlite (or vermiculite). Add the soil, compost and perlite alternately and mix together. I finished my bed with post caps and finials because, well, it’s me and I always have to go a little over the top. Once complete, you’re ready to let the bed set over the winter. If you don’t have access to good quality compost, place as many leaves in the bed as possible and let them compost over winter. I’m not an expert but I do love gardening. While I may be young, I’ve been gardening for years and have found a raised bed to be super beneficial. I hope you’re inspired to try your own! 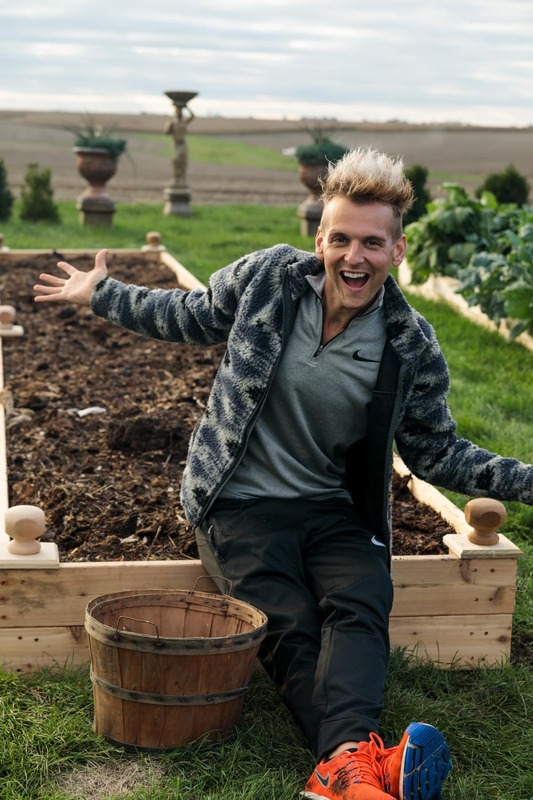 Thank You for the raised bed video!!!! All you videos are so helpful! Love the idea of raised beds, Thank You. I have a question about your grass. Do you leave it long (as pictured) over the winter, or trim it shorter?